Best Additives went into catching this Earlswood Carp! The best carp bait ingredients and additives stimulate the big fish into feeding, even in the most difficult conditions. Most of the basic bait ingredients will do this to some extent, but often these baits are boosted by adding some of the most effective carp bait additives. The exact reasons for why these are some of the best bait enhancers are poorly understood, but often the catch results prove their effectiveness. Many of the successful additives give off a very strong food signal to big carp. By including these additives in the best baits it’s possible to boost a baits attraction to the point where some carp cannot resist eating them. In some cases, if the bait has been introduced to a venue properly, the carp may even seek out that specific bait just from its food signal. Some of the best baits only include a small amount of these effective ingredients. If too is added and the concentrations are too high it may have the reverse effect and repel the fish away. Casein is the main protein in milk. It can be used to make baits high in protein. It comes as a dry ingredient. The major benefit to using casein in your bait is it has a good smell which will attract carp to eat food containing casein. It can also be good for binding together other ingredients in the bait. This ingredient is brilliant all-rounder for making baits with. It usually makes up a third of the boilie mix and therefore provides the bait with good protein levels. It gives bait a good taste and has plenty of attractive smells to leak out in the water. It also, has some decent binding properties, and it provides some nutrition for carp. White fish meal is another top ingredient when making boilies. It contains threonine and phenylalanine, both are essential nutrients. White fish meal has good attraction properties; both smell and taste. This is why it can be a good all-year round bait. Anchovy included bait mixes creates a great flavour for high attraction properties. It also provides some nutrition towards carp’s diet. This is one of the top ingredients to include in any bait. It has accounted for numerous big carp captures over the years. It has excellent attraction properties, including a high smell and a taste carp would die for! Robin Red is an incredibly successful ingredient made from a blend of bird food, peppers and spices. It is bright red and will most colour baits deep red. It is an attractant in its own right but its vitamin content also makes it a valuable food source, especially when added to protein mixes. This can be a fantastic additive to include any bait making mixture. 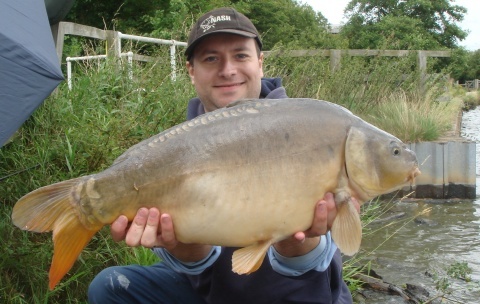 The enzyme treated powder can be very effective for attracting carp, plus they love the taste of anything liver-based. Plus it is packed full of nutrients that carp require every day. Liver powder is a very successful meaty fishing bait additive that most fresh water fish love. Use it in your paste or boilie mixes at a rate of up to 30g per 1kg of bait, or sprinkle into your groundbait or maggots for added attraction. Can be made into a paste by adding water or for an effective bait dip. One of the best bait making ingredients you can use. One tip I found was not to use it prior to boiling the baits. Instead, use 20ml/pound as a soak during drying stages. Semolina is made from wheat, it’s cheap, and can be used as the main ingredient in making boilies. Semolina along with soya flour can work as a binding ingredient when making boilies. They can also carry flavours very well so they’re good for attraction purposes and contain some good nutrition for carp. Full fat semolina, which is yellow, contains higher nutritional values for carp. Egg albumin is a fantastic binding agent for use in making boilies. It also provides carp with high nutritional value. Betaine is a highly soluble crystal extracted from sugar beet molasses during sugar production. It has long been recognized as a primary feeding stimulant by fish farmers as it improves the fish's appetite and the rate of digestion and absorption of nutrients. By applying Betaine to your fishing bait you will not only attract more fish but will improve its food value as well. This is perfect for when you are regularly fishing a water as the fish will come to realize that your bait is good for them and will actively look for it. Mix in with any bait, but do so sparingly as this is powerful stuff. A fine powder that is highly nutritious with a particularly high vitamin content. It is an extremely good binder and can be used to hold groundbaits together or to act as a binder in boilie mixes. The yeast is deactivated so that you can use it to fairly high levels without your baits suddenly fermenting and going off. If you are using a CSL based product it is an excellent addition. CSL contains small amounts of natural yeast so adding more yeast will just boost the power of CSL even higher. Kelp powder is an incredibly successful fishing bait ingredient made from seaweed. It is loaded with the vitamins and minerals that fish love. It naturally contains the fish attractant Betaine so it will really pull fish into your swim. Use it in your boilie and paste mixes at a rate of 20g per 1kg of bait. The Best Bait Additives & Ingredients that go into mixes can effect carp catch rates!